According to a recent notification issued by the Ministry of Road Transport and Highways, quadricycles are now a recognised vehicle category for personal use. The government had cleared such vehicles for transport use in June 2018. A set of parameters set by the government define a quadricycle. They cannot be more than 3.6m long, should have engines smaller than 800cc and not way more than 475 kg. The government states that its decision to allow quadricycles will allow for a cheap way to improve last-mile connectivity. These will provide a safer alternative to three-wheelers given the four wheels and an enclosed structure. Much like gearless scooter, individuals who are older than 16 years will be allowed to drive these. 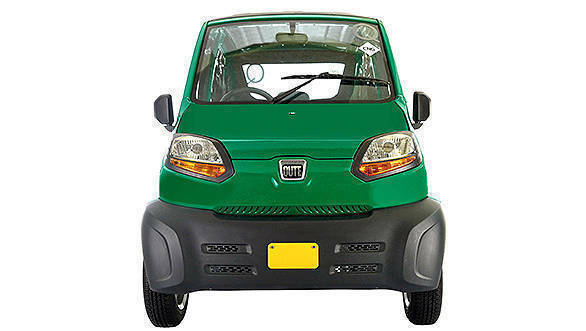 The Bajaj, India's first quadricycle is expected to go on sale in the near future, thanks to a revision in vehicular norms to include quadricycles. These quadricycles will have to meet all crash test norms, including the new and more stringent regulations that are set to be introduced in the near future. Engines fitted to these quadricycles will also have to meet BS-VI norms when they are introduced. This development paves the way for the Bajaj Qute to be sold in the country. The company has already been exporting these vehicles but this development allows for much higher sales. This development will pave the way for personal transport becoming more accessible but the same doubts remain regarding safety. The regulations cover this to some extent but it doesn't seem to account for inexperienced driving or the absence of safety equipment like airbags and ABS.